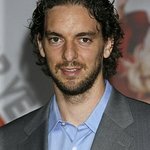 UNICEF Ambassador and champion of education, professional basketball player Pau Gasol of the Los Angeles Lakers, took part in ‘Beyond School Books’, a podcast series on education in emergencies as part of Global Action Week (22-28 April). According to UNESCO, 67 million children of primary school age are out of school and being denied the opportunity to fully reach their potential, which is why Global Action Week is calling on world leaders to assure that every child receives early childhood care and education right from the start. In Gasol’s installment of the ‘Beyond School Books’ podcast series, moderator Kathryn Herzog speaks with Gasol, who has visited some of the most impoverished communities in Angola, Ethiopia and the Republic of South Africa, where he says the situation of children is dire. Poverty, distance from learning facilities, poor health, malnutrition and gender discrimination are keeping children out of school and trapped in a cycle of poverty. “We know that the age from 0 to 5 is the most critical time for a child to develop. If you don’t provide children with the right opportunities, it can negatively influence them for the rest of their lives,” Mr. Gasol said. Gasol’s recent project is a storybook app titled ‘Give a Day’, a tale that promotes children’s rights and is narrated by Gasol in three languages – English, Spanish and Catalan. Gasol believes that change will happen by raising levels of awareness, especially among people and communities that have little exposure to the challenges faced in the developing world. “Everyone should make childhood a priority. As ambassadors, as people who do have the opportunity to give back, we have to make it a constant priority in our lives to create awareness and make sure that the message and the reality of millions of children are known,” Mr. Gasol concluded.